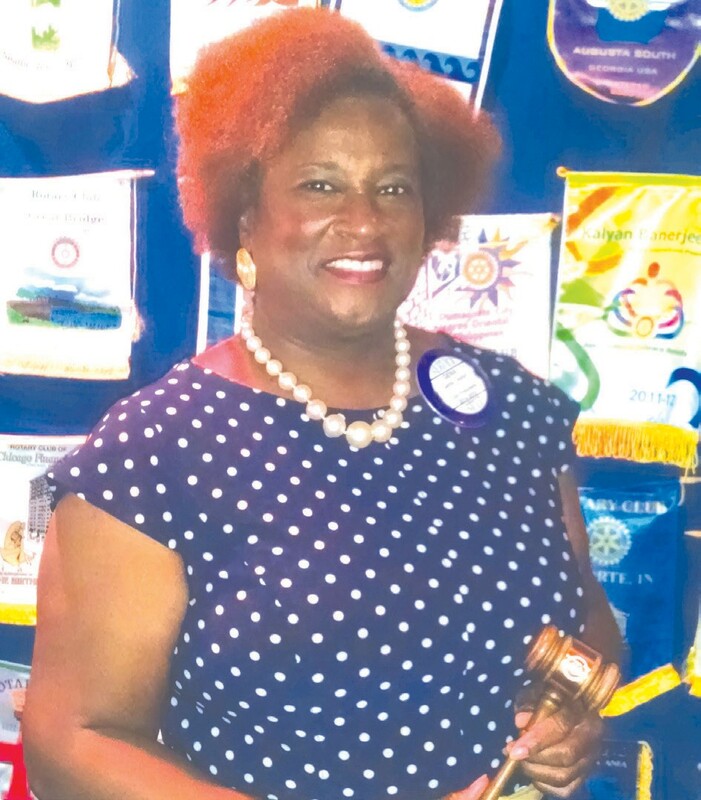 Gena P. Taylor, Executive Director of Greenbriar Children’s Center was installed as President of the Rotary Club of Savannah East on Friday, June 27, 2014. She will serve a term of one year which began July 1, 2014. Ms. Taylor has been a member of the Club for four years. Ms. Taylor’s introduction into Rotary was in 1999 when she was selected to be a member of a team of non-Rotarians to travel to Bolivia as part of a Rotary International Group Study Exchange project. “It was a life changing experience; I never knew how much Rotarians were doing to improve the quality of life for people around the world”. Rotary’s 2014-15 theme is, “Light Up Rotary”. The 2014- 15 goals for Rotary Club of Savannah East are to: 1) increase community service projects; 2) increase awareness about Rotary; and 3) increase membership. The 2014-15 officers are: Gena P. Taylor, President; Tom Haase, President Elect; Ed Donaghue, President Nominee; Bruce Montgomery, Treasurer; Sandra Sherrill, Secretary; and Mel Morchinski, Sargeant-At-Arms.